The room is done, the name is chosen, but have you picked out all of the clothing, or decided what your baby’s first stuffed animal will be? All of these items and more can be found in one of our Toronto made baby gift baskets. These adorable gift baskets are handcrafted to perfection in order to have the essentials ready! Wash cloths, teething toys, bibs, to bottles, onesies and more, our baskets promise not to be a bore. It is time to celebrate the life of a new born baby! What a better way to welcome someone into the world then with a perfectly handcrafted gift basket equipped with all the essential items to leave both parents and babies at ease! 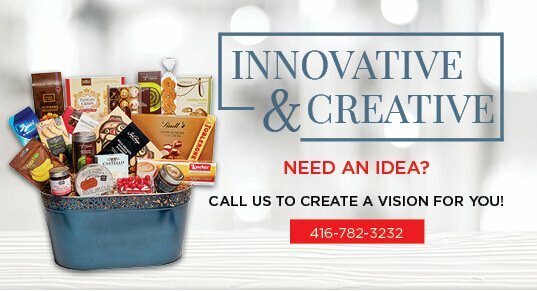 Say hello and celebrate the new born baby of family members, colleagues or friends with a baby gift basket Toronto. Baby baskets Toronto contain links to chew on while teething or for your baby to occupy themselves, little booties, plush teddy bears, 5 piece baby sets and a whole lot more! We have the goods to properly equip all new parents from Toronto all the way to the USA. Baby gift baskets Toronto designed by Nutcracker Sweet is committed to satisfying our client’s needs. We maintain pride in meeting each and every need. Our clients are of utmost importance so we have decided to implement a customization system. Whether its additional products or customized ribbon with the babies name on it, if you want it, we will make it happen. There is something unique about each baby gift basket, whether it’s for a girl or a boy, or both, we guarantee that the baskets will bring a smile to one's face. Baby basket gifts here at Nutcracker Sweet offer a wide selection enabling something for everyone. Whether it's products for new parents to use on their newborn to gourmet treats for new parents. 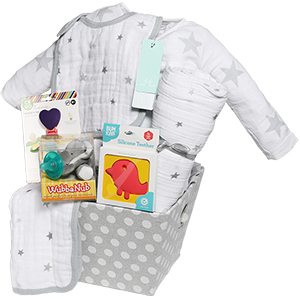 We provide something of a premium nature for your baby present as it will most definitely stand out from the ordinary. Additional glitter and glamour to every basket will bring a special and heartwarming gesture to the boy, girl or twins as they enter this world. A basket is the perfect way to tell someone congratulations. Baby gift baskets Toronto are perfect gifts when attending a baby shower, going to visit the new born at home and these gift baskets are applicable for any other baby related occasions. 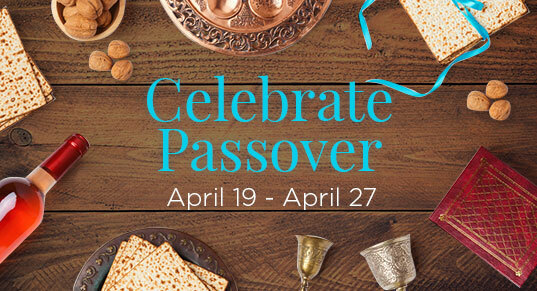 If you need a basket for a celebration just around the corner, well you are in luck! Nutcracker Sweet offers a reliable delivery service that is spread throughout Toronto and the greater Toronto area. 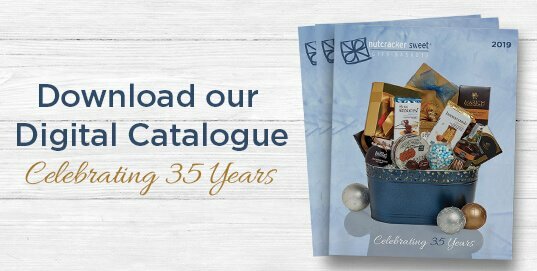 For over 30 years, Nutcracker Sweet has delivered gift baskets to parents everywhere. If you want it, we got it! 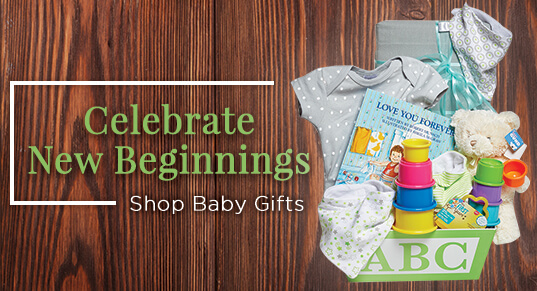 A beautiful, bounty baby gift basket can be at your doorstep in no time! Delivery upon request!